Forest carbon science is complicated. Billboards and sound bites don’t do it justice. Marketing messages bombard us constantly, claiming that a product makes you, or the planet, better. That herbal supplement, organic produce, shade-grown coffee, recycled packaging, new diet fad, and so forth. Often, the messages invoke scientific research supporting their product. In reality, it’s hard for the non-expert to separate scientific truth from propaganda. 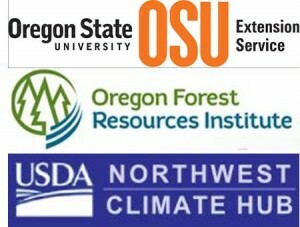 Now, marketing forests as a carbon storage solution has entered this arena. 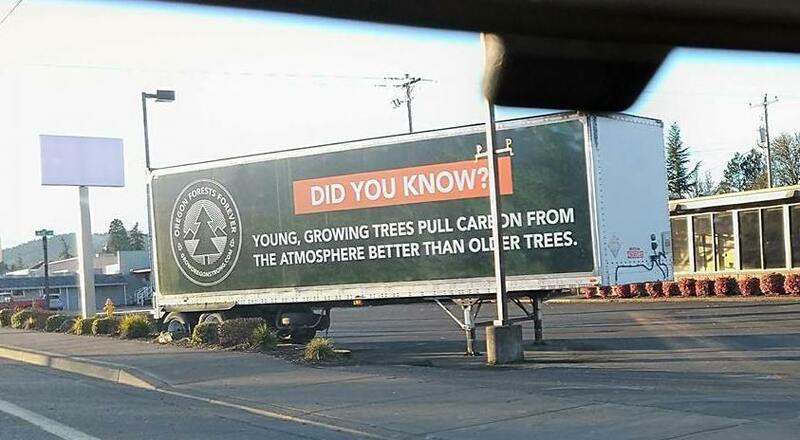 Here’s a billboard on the side of a semi trailer that showed up in the Willamette Valley recently. The term “climate variability” gets used a lot, but what does it mean? And how does climate variability relate to “climate trends” and “climate change”?